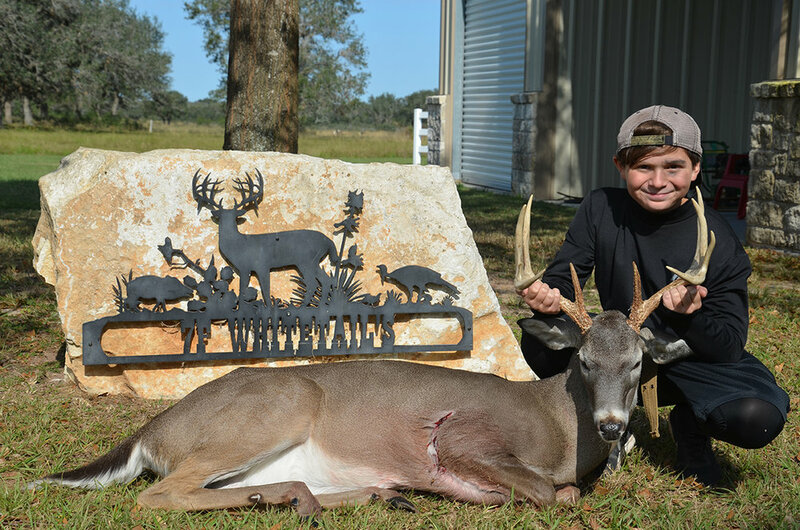 Here at 7F Whitetail Ranch there is a long family tradition of hunters and sportsmen, our parents having instilled within us their love and enthusiasm for both hunting and the Texas outdoors, which we in turn have passed on to our own children and grandchildren. Having built a strong family foundation of knowledge and passion for our whitetail deer here at 7F Whitetail Ranch in Victoria County, we are in turn committed as a business and family to making sure that our guests have the most complete and fulfilling hunting experience possible. We are thrilled to provide such amazing experiences and to be able to share in the adventures and memories made by families and friends year after year of hunting our whitetail deer. Here at 7F Whitetail Ranch, our Trophy Whitetail Deer Herd has been meticulously culled and managed for years, resulting in a wide selection of animals available for harvest each season. Our herds are unique in such a way that you will see all ages that possess the traits we value, specifically heavy mass, long brow tines, and width. Prices vary based on the gross score of the deer, but we are consistently harvesting whitetail bucks from 120” to 200”+. Here at 7F Whitetail Ranch, our advanced breeding program has become the sturdy foundation for a thriving deer herd. Genetically superior does are covered by our very own breeder bucks and fawns are raised directly on site. High quality bred deer are then released into high fenced pastures, adding diversity in size and genetics to our existing breeding lines.